For the creative amateur or professional photographer, the Single Lens Reflex (SLR) is the best choice of camera for most subjects. It is a camera design that has the capabilities of taking photos in almost any situation. 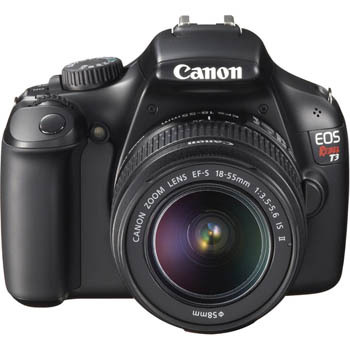 The SLR cameras of today are packed with features and functions that can appear very confusing. However one should always look past the bells and whistles on offer by many camera models and concentrate on what they need in a camera. The main aspect of the SLR is there is the ability for the photographer to view the scene through the same lens the image is captured from. Also the SLR is known as a systems camera in which many attachments and accessories can be added to a single camera body such as interchangeable lenses and flash systems. There are many different exposure modes found on SLR cameras. These are often divided into two categories. There is the standard exposure modes and the Subject exposure modes. The standard modes, sometimes referred to as “creative modes”, would include Manual, Aperture Priority, Shutter Priority and Program. Manual exposure is probably the most important of these as it gives the photographer full control of the exposure system. The others help to speed up the picture taking process yet still give some control to the photographer. Subject Modes are often indicated as in the image on the right. Almost all models of SLR cameras now have a standard range of subject modes. These usually include; Portrait, Landscape, Sport etc. However these are usually included in the camera to suit those who know little or nothing about photography and how the camera works. These fully automated systems will deliver good results in favourable lighting conditions. However they will rarely achieve the results achieved by an experienced photographer who knows how to use the standard modes. . There are two types of focusing functions; Manual and Auto-Focus. Both of these can be found on an SLR camera. Manual Focus – This is when the photographer has to turn the focusing barrel on the lens until the subject appears sharp in the viewfinder. Manually focusing a lens is slower than auto focus systems. Having said this a camera should always be equipped with manual focus. There are occasions when careful adjustment of the lens is necessary or when faced with a situation some autofocus systems find difficult to work in such as low light. Auto Focus – It is almost impossible to beat the speed and accuracy of most autofocus systems. Aim the focusing area at the subject and the lens just snaps into focus. Some systems rely on just one focusing point while most found in SLR cameras can take an average focusing reading off of many points in the viewfinder. There are a number of metering systems usually available in SLR cameras. These systems can be divided into two groups; a full metering pattern, which takes an average light reading from the entire area of the viewfinder or a selective metering pattern, which only reads the light level off a certain area of the viewfinder. All SLR cameras have a full metering pattern of one sort or another and all delivering good results, even in contrasty lighting conditions. The most common is called Center Weighted (shown left) metering. 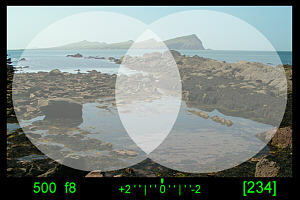 With this metering pattern most of the area of the viewfinder is taken into account. However more emphasis is placed in the central area than at the edges of the image. This pattern is based on the assumption the main subject will be placed in the central area of the image. Selective metering patterns are not found on all models of cameras. These systems only take into account a small portion of the viewfinder area. The Spot Meter is the most common amongst these. It only takes into account a very small area, usually in the centre of the viewscreen. All other lighting levels in the scene have no bearing on the exposure reading. Ensure the brand and model of camera you choose has other lenses and accessories readily available. Most major brands such as Nikon, Canon, and Pentax are easily catered for but there are lesser-known brands that would have a poorer selection of extra accessories locally. Some other manufacturers may make accessories or lenses for your camera, notably, Tamron, Vivitar and Sigma all make lenses for the better known SLR cameras made by Nikon, Canon, etc. Usually these are cheaper than the manufacturers own lenses and do much the same job. That said, you get what you pay for, don’t expect premium quality results if you are shooting through cheap lenses. Learn how to use and make the most of a DSLR camera, join our Creative Photography Course.